Shifting around and trying to get comfy while dining or playing poker is a thing of the past in these quality chairs. Feel the soft and durable faux leather and get yourself seated for either a fun dinner or a big night of poker – or both! 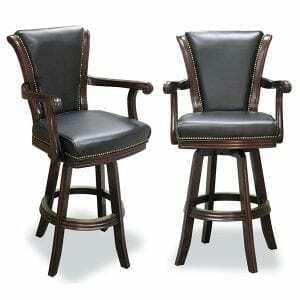 If you entertain or just want a better seating option for your dining room or game room, check out these chairs. It’s easy to add some comfort to any room with these home game room chairs. 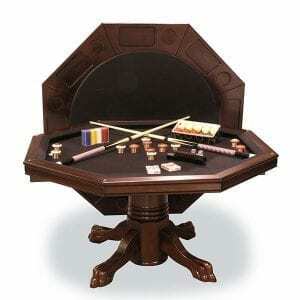 Why not purchase a few of these chairs to extend your seating when you buy one of our dining table / poker table sets. They allow you to view your friends and fellow poker players from any angle. You can sit for extended periods too as the wide seat lets you get set for a fun night ahead. 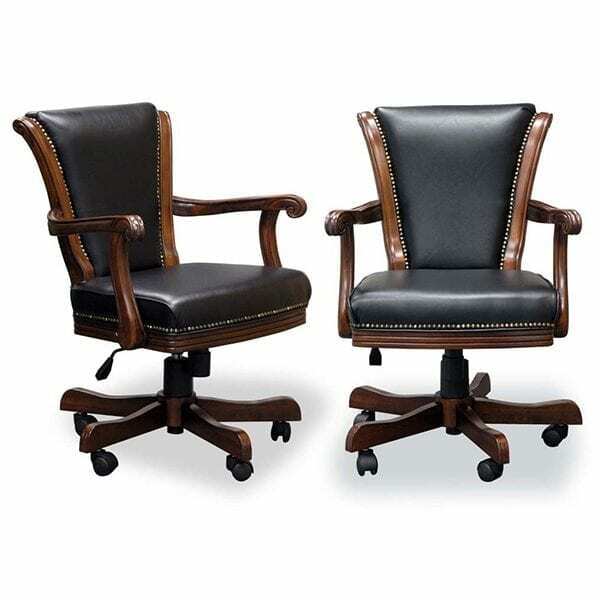 Find your comfortable position with these stylish chairs as they swivel, recline, and are adjustable in height. The bronze beading around the faux black leather cushions accentuates the sleek stylish look of the chair. 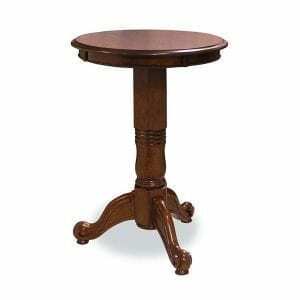 Need new game room furniture or superior dining chairs? 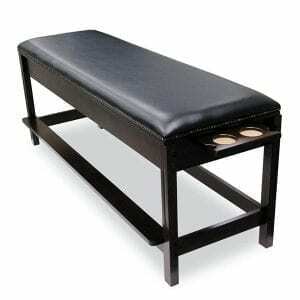 Order now and add comfort and sophistication to your home.